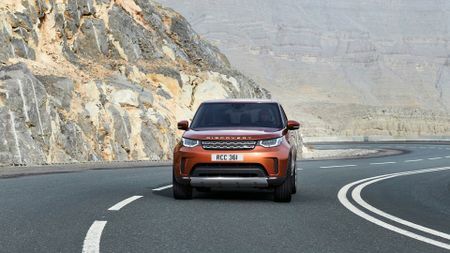 It feels like it’s been a long time coming, but the new Land Rover Discovery is finally here. 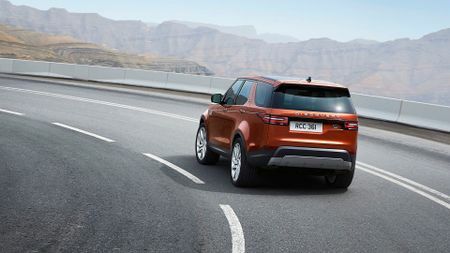 The new Discovery – the fifth generation – is a full-sized, three-row, seven-seat SUV. For the exterior, Land Rover says the Discovery pays homage to the previous models, but isn’t constrained by them. In other words, things are a bit different to its boxier parents. The design is similar to the Discovery Sport (note the same grille), but everything is of course bigger. It’s wider, there are sharper air intakes, and it’s more angular. 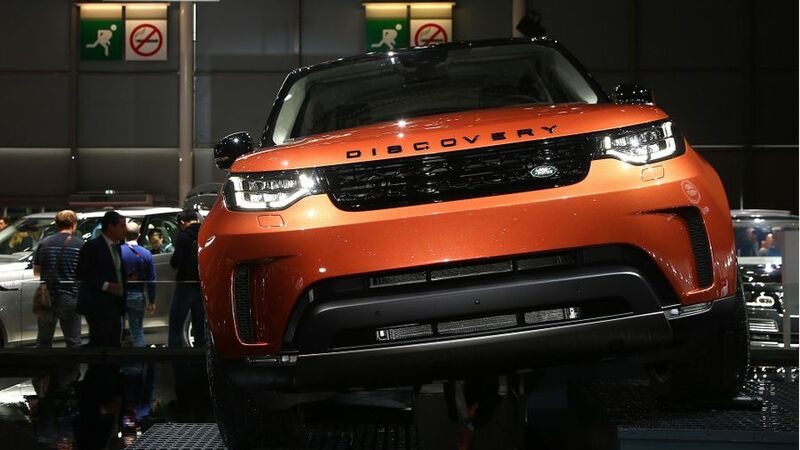 The new Discovery is 141mm longer than the previous model, but narrower and lower as well. Land Rover has got rid of the split tailgate, which could be a sore point for a lot of buyers. Instead, it’s been replaced by a powered flap inside, that can be extended out and used as a bench, while still remaining under the cover of the new one-piece tailgate - seems a bit over complicated to us, but it'll be interesting to try it in practice. Drivers can choose from 17 different colours, and have a choice of 12 alloy wheel designs, from 19-inch, to 21- and 22-inch rims. The stepped roofline is still there, ensuring there’s enough headroom for passengers in all three rows. There’s also stadium seating (each row of seats higher than the one in front), with two Isofix mounting points in the third row (five in total in SE models and above). There are seven seats, as before, but they can now be configured via a smartphone. 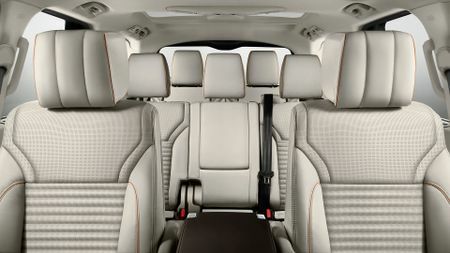 Land Rover says this ‘remote intelligent seat fold technology’ is a world-first. Drivers can rearrange their seats while still shopping, or if they’re picking up a few extra passengers. Practicality is still paramount – so there’s up to 2,406 litres of luggage space, or up to 1,137 litres behind row two, a lot more than you get in rival seven seaters, like the Volvo XC90. There’s plenty of storage, with a hidden cubby in the central console below the cupholders, a central armrest cubby, and another hidden space behind the climate control panel, so stashing your secret supply of Haribo just got a lot easier. And everything’s a lot lighter. The extensive use of aluminium in the new chassis has saved 480kg, which should help improved the handling, fuel efficiency and ride comfort. 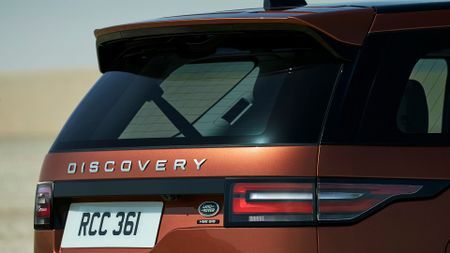 The Discovery also has towing capacity of 3,500kg, and is fitted with semi-autonomous advanced tow assist, to help with manoeuvres. 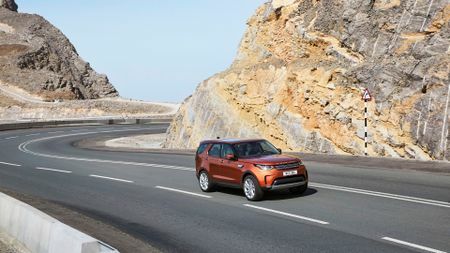 Just as with the exterior design, some of the Discovery's individuality has been lost, as the shares a great deal with the Range Rover and Discovery Sport. The cabin can be customised with a range of materials and finishes, including leather, natural oak veneer, and five different colours. There’s options for ambient lighting, and jazzy seat stitching too. A 10-inch touchscreen is embedded high on the dash, so there are fewer switches needed. The infotainment system is fitted with sat-nav and door-to-door navigation (directions switch to a smartphone when the driver leaves the vehicle), and iOS and Android connectivity. On the higher trims, there’s a 14-speaker surround system and 3G WiFi. Head-up display is also available as an option, which shows sat-nav information and speed on the windscreen, to reduce driver distraction. Tech wise, the Discovery has up to nine USB ports, four 12-volt charging points, and an in-car 3G WiFi hotspot for up to eight devices, which should keep everyone on board happy and distracted for hours at a time. Land Rover has also added a suite of semi-autonomous safety technology, including Automatic Collision Detection and Optimised Assistance, Autonomous Emergency Braking, Traffic Sign Recognition, Intelligent Speed Limiter, Automatic High Beam,360-degree cameras, and Lane Departure Warning. If heading to the gym, or the great outdoors, customers can also leave their standard key in the car, and take the ‘activity key wristband’. This waterproof wristband can lock the vehicle, and disable the ordinary key - a technology which first debuted on the Jaguar F-Pace. 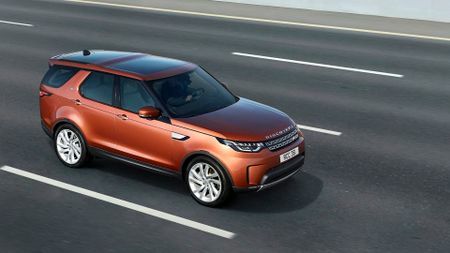 The new Discovery will be powered by a range of four- and six-cylinder petrol and diesel engines, all paired up with an eight-speed automatic gearbox. The gearbox can be controlled manually by using the steering wheel-mounted gearshift paddles. Buyers can choose a new twin-turbo four-cylinder 2.0-litre diesel engine, offering 43.5mpg and CO2 emissions of 171g/km (Land Rover claims 0-62mph in 8.3 seconds), or a six-cylinder 3.0-litre diesel. The six-cylinder is capable of 39.2mpg, and has CO2 emissions of 189g/km, but is not much faster, with a claimed 8.1 seconds benchmark sprint. For petrol buyers, there’s a supercharged 3.0-litre V6, which can do 0-62mph in a claimed 7.1 seconds, with rather less rosy 26mpg, and CO2 emissions of 254g/km. Hybrid engines are expected further down the line. 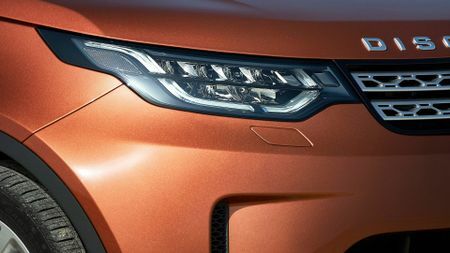 Land Rover says the new Discovery will be perfectly capable both off-road and on. It has a ground clearance of 283mm (43mm higher than the previous Discovery), and a wading depth of 900mm (up 200mm on the previous model). There’s plenty of fresh off-road technology, including multi-mode Terrain Response, which optimises settings including throttle sensitivity, gear changes, and even selecting the best setting automatically for unsure drivers - should they find themselves suddenly lost in the Australian outack. If you like your Discoverys exclusive, there will be 600 of the ‘First Edition’ available in the UK, with features including an etched map detailing on the door and fascia trim, along with unique badges, different colour options, and a bigger list of standard equipment. The Discovery will be available in four trims: S, SE, HSE, and HSE Luxury (not including the First Edition), and will be on sale from spring 2017, priced from £43,495 for the base model, and up to £68,295 for the First Edition model. Interested in buying a Land Rover ?